The benefits of living at Commerce Tower include a dedicated KC Streetcar stop and access to the KC skywalk system. This LEED Gold-certified community also offers tech-driven amenities such as an automated parcel service and Google Fiber Internet. 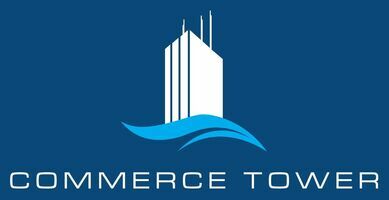 Enriching the available conveniences, Commerce Tower provides relaxing extravagances, such as a rooftop pool and terrace. You’ll also love the yoga space in the fitness center, the indoor dog park and so much more. At Commerce Tower, the quartz countertops, stainless steel appliances and in-home washer and dryer set are just the start. This innovative community raises your expectations with forward-thinking features inside every apartment, including sensor lighting, and smart entry systems. Depending on the pet-friendly model you choose, you may also enjoy the luxury of city skyline or Missouri River views from your oversized windows. Reach out to the leasing team at Commerce Tower today to learn more about specific layout features. Pet policy: We welcome 2 pets per apartment home. $250 nonrefundable fee, in addition to $200 deposit. $25 pet rent per month per pet. Breed Restrictions apply. For more information, please call our leasing office. Parking Comment: Parking ranges from $75-120 based on availability. Please call the leasing office for more details.